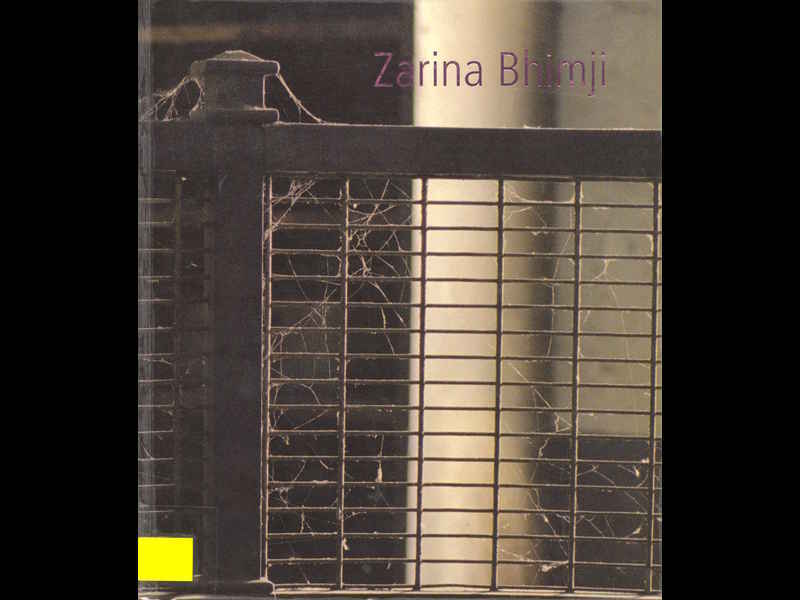 Substantial catalogue for major mid-career retospective of work by Zarina Bhimji, organised by Whitechapel Gallery in collaboration with Kunstmuseum Bern. The exhibition opened at Whitechapel Gallery, its dates being 19 January - 9 March 2012. It then toured to Kunstmuseum Bern, Switzerland, its dates there being 1 June - 2 September 2012. The Whitechapel Gallery exhibition largely coincided with another exhibition by Zarina Bhimji, Zarina Bhimji: Yellow Patch, 20 January - 14 April 2012, and the accompanying publication reflected input from all three venues. The exhibition brought together key photographic series and film installations made by Bhimji over the course of a quarter of a century, a number of these works being represented in this publication. “Architecture and landscape are the protagonists in the quiet yet profound dramas that unfold through Zarina Bhimji’s films and photographs. A building might feature in her work as a historic monument; as a composition of texture and colour; or as an atmospheric play of darkness and light. As our eyes explore the surface of her remarkable images, however, we can also see the unmistakable traces of incarceration, death or exodus, but inflected with deliberate ambiguity and transience. Like many artists and writers who have experienced exile, Bhimji combines her subjective experience with a detached perspective on the flows and convulsions of history. Born in Uganda into a family of Indian descent, she left Africa for Britain in 1974. As a result, her framework of reference is unusually wide, encompassing three different continents, and reaches back to the British empire and the migration that followed in its wake as much as to a postcolonial present. From Politics to Petry: Conversation between Zarina Bhimji and the exhibition’s curators Achim Borchardt-Hume (Whitechapel Gallery) and Kathleen Bühler (Kunstmuseum Bern). This particular copy of the catalogue was formerly in the library of UCA, University for the Creative Arts, Farnham, Surrey. The copy is stamped ‘WITHDRAWN FROM STOCK’.